Susan Derry Vocal Studio is now located in Brooklyn, NY. Reach out for more info! My goal is to create a strong, flexible voice with you that gives you the ability to fully express yourself as a performer, clearly and meaningfully. Like the farmer and the cowman, I believe singing and science should be friends, and while fact-based singing is important it should never make you think so much you can’t “do!” A truly free sound, created in a balanced way through skill, craft and passion, will fill you with the confidence to share your sound with the world. I’ve spent the past five years serving as Adjunct Professor of Voice for Musical Theatre at both American University and George Washington University, as well as working with all levels in my private studio. 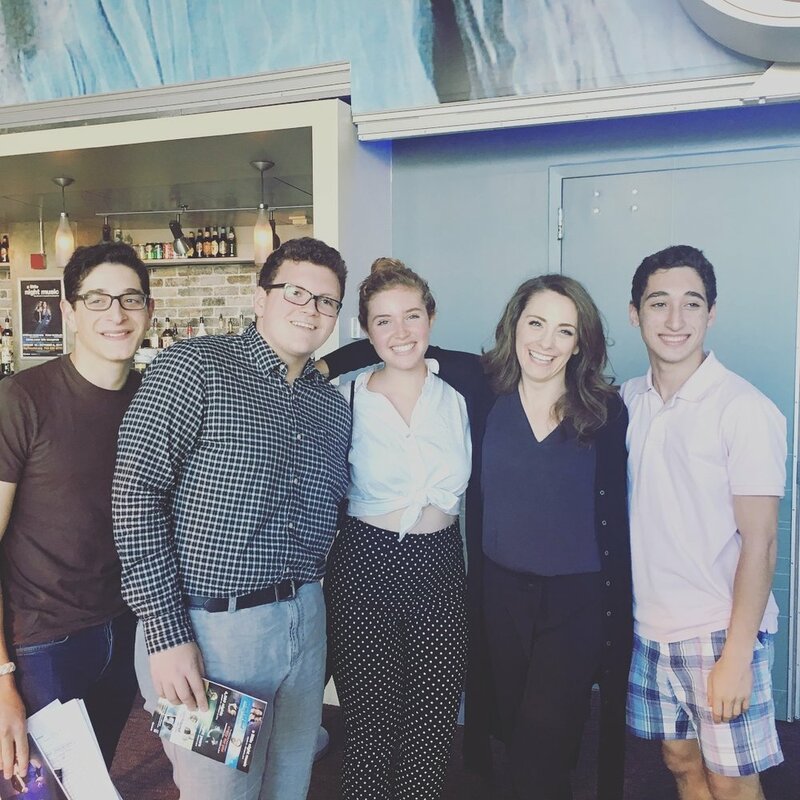 My students have gone on to thriving careers in NYC, DC, and beyond; they attend University of Michigan, University of Minnesota/ Guthrie Theater, Marymount, U Arts in Philly, Boston Conservatory, Catholic University, among may others. And I continue to study regularly with great NYC coaches and teachers, and attend conferences around the country to stay current with the latest science. "Susan is an amazing teacher and inspiring person. She has taught me so much and helped me immeasurably, both in my vocal technique and in my audition preparation, confidence, acting a song, etc. She has been an incredible mentor for me, helping with my headshot and resume, offering career advice and encouragement, and much more. She is both an amazingly talented performer and teacher (a rare combination! ), and a constant inspiration, I cannot speak too highly of her!" "My daughter has been studying with Susan for a year. I am amazed at the improvement in her voice, which has led to an increase in her confidence, posture, and curiosity in music styles. Susan has an approachable style and I think she is as good a listener as she is a teacher. Susan is the best - I cannot say enough good things about her!" "Susan is amazing. She gives voice lessons to my daughter, whose range and control have really improved. They have a great time together and my daughter looks forward to her lesson each week. I have seen Susan perform and she is remarkably talented. It is a real pleasure to watche her work with my daughter. Susan truly cares about her students. We feel very fortunate to have Susan as a teacher and role model."